This post is perhaps a little late in the year, but I have recently found it difficult to convince 'Little Miss' to eat fruit. So while in the UK I popped into QD. I don't often go in there but you can find the odd gem if you're lucky. 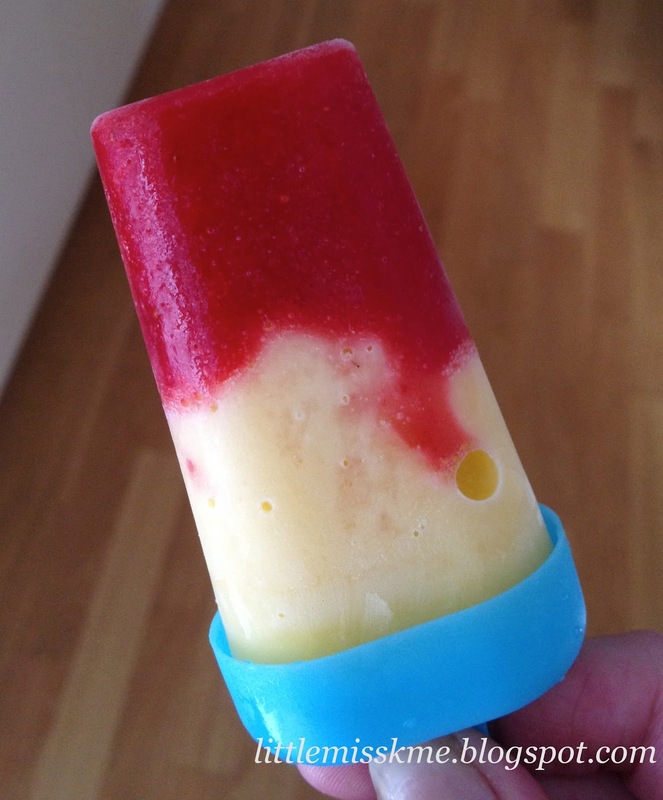 I found these cute little ice lolly makers for 99p so thought they may be worth a try. Step 1 - Blend around 8 large strawberries and half fill each section. Step 2 - Top the 'lollies' up with Vanilla yoghurt. Step 3 - Put the handles on and pop into the freezer to set. You can use other seasonal fruits and flavoured yogurts to suit your taste.